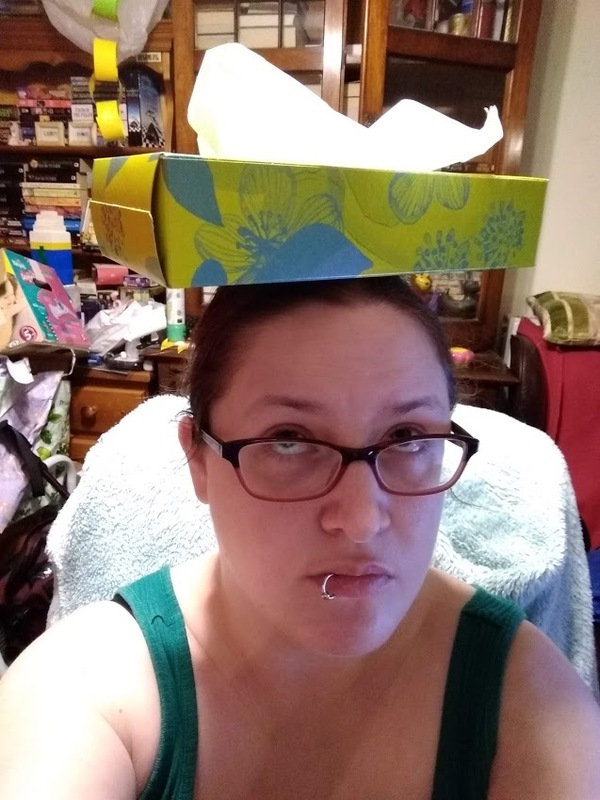 The box of tissues is not really representative of today’s state, no. In actuality, it’s been my throat today. The upside of trying to soothe it means that I’ve had more hydration than I have the last couple of days, so… bright side of a crap thing? I need to go acquire more water here in a minute ’cause my cup just hit empty. I should probably make a point to have a cup of Lemsip (Theraflu) with lots of honey. I don’t want to put it in my face, but ah well. I’m sick enough that I can barely taste it, so… another bright side, sort of? Anyways, hopefully it’ll be better tomorrow.